Sehr schöne Ferienwohnung. Alles da, was man braucht. Nette Vermieter. Sehr schön, modern und liebevoll eingerichtet. Leider war die Straße neben dem Schlafzimmer, so dass der Verkehrslärm stark zu hören war. Trotzdem auf jedenfall weiterzuempfehlen. Zum einkaufen brauchte man ein Auto. 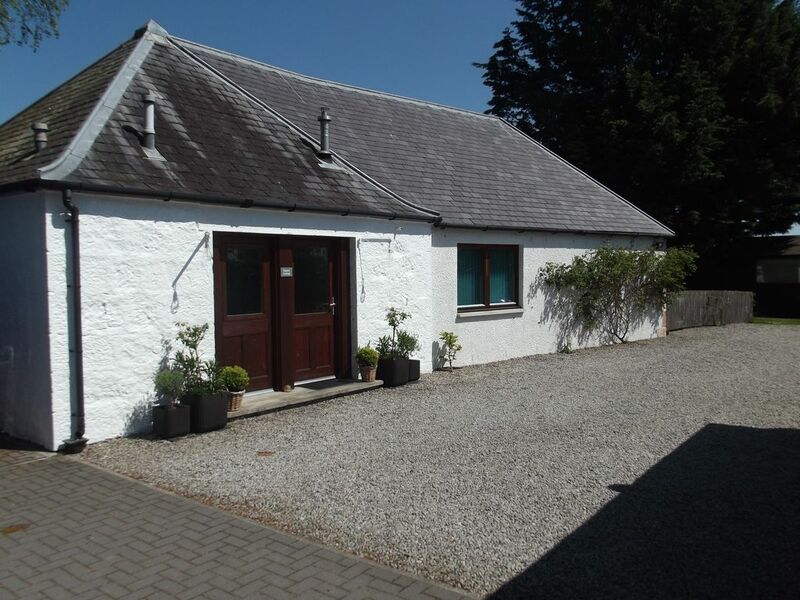 The cottage is in a perfect central location to visit a range of interesting sights and activities. We visited Loch Ness, Inverness, Dornoch, Tain, John o Grosts and many other places. Fort Rose is the perfect place to see the wild dolphins In the estuary - just make sure you go at around high tide. Wild Seals on the sand banks of Loch Fleet was a lovely surprise. The cottage was beautifully designed, decorated and equipped. There is also an impressive collection of CDs, DVDs and books. We weren't in need of anything at all. The lovely treats on arrival were a lovely surprise. Previous reviews have mentioned an uncomfortable mattress, however the owners have sinced purchased a new one and it was extremely comfortable, leading to a very good nights sleep. The hide at the bottom of the garden is a lovely touch to watch the Birds in the estuary and we enjoyed walking along the shore of the estuary in the evening. Our hosts were very discreet but very friendly and helpful when we did meet them. Super nette Vermieter, reibungsloser Ablauf, ruhiges sehr sauberes und modernes Haus. Original schaut besser aus wie die Fotos. Sehr großzügig ausgestattete Küche. Ideal für Paare. Sehr sauber und absolut gemütlich eingerichtet, es ist alles vorhanden was man benötigt. Sehr nette Vermieter, super ausgestattet, guter Ausgangspunkt um den Norden zu erkunden. Gerne wieder!! Cottage was in a great location and was exactly as advertised. If I could change anything it would be the bed as we found it soft but that is a personal preference. Lots of information and places to visit. Rentals usually run from Saturday to Saturday arriving after 3pm and departing by 10.00am. Changeover days may also be Fridays or Mondays,allowing guests to enjoy short breaks from Monday to Friday, 4 nights at 75% of weekly rate or Friday to Monday,3 nights at 70% of the weekly rate. If your planned dates fall outwith the 3+4 night break period, please contact us as we can be flexible on dates.